Following last week’s post about the reappearance of the wreck of the 1678 Third Rate Anne, this week’s concentrates on the first of the ‘thirty ships’ of Charles II’s reign, the Lenox, and especially on the exciting project to build a full-sized replica of her. The Lenox was launched at Deptford dockyard on Friday 12 April 1678 (not on the 18th, as Wikipedia and other sources wrongly claim). The launch ceremony was a spectacular affair, attended by King Charles and his principal mistress of the time, Louise de Keroualle, Duchess of Portsmouth; the ship was named after their young son, Charles Lennox, Duke of Richmond and Lennox. 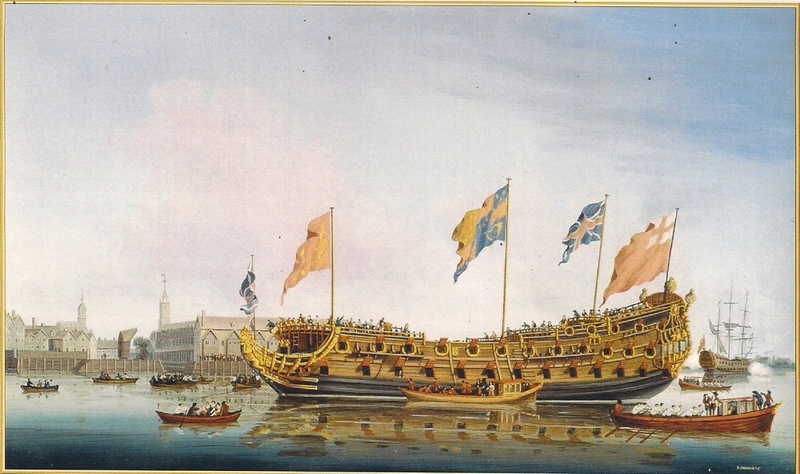 The idiosyncratic spelling of the ship’s name was entirely down to the King, who had previously decreed that his son should be known as ‘Lenox’ (his handwritten letter expressing his intent in this matter was shown on the recent ITV programme on Goodwood House, presented by Julian Fellowes). The name had a particular importance for the House of Stuart: the male line of the dynasty was actually that of the Earls of Lennox, a title to which Lord Darnley, the husband of Mary, Queen of Scots, would have succeeded had he lived long enough. Darnley was the father of King James VI and I, and thus the great-grandfather of King Charles II, so the latter’s decision to give the ancestral and highly symbolic Lennox title to his son was a powerful statement of his affection for the boy. The ship named after the young Duke had a moderately notable service career. She did not enter service until 1690, but was then present at the battles of Beachy Head (1690) and Barfleur/La Hogue (1692); rebuilt at Deptford in 1699-1701, she was then present at the Battle of Toulon (1707) and survived the notorious shipwreck of Sir Cloudesley Shovell’s fleet on the Isles of Scilly later in the same year. After a further rebuild in the 1720s, she survived until 1756, when she was sunk as a breakwater at Sheerness. But there would have been little about her career to mark her out as worthy of special attention in the twenty-first century, were it not for the happy conjunction of two seemingly unrelated developments. The first was the publication in 2009 of Richard Endsor’s seminal book, The Restoration Warship. Based on the extensive contemporary evidence of the methods used to build the Lenox, and lavishly illustrated with Richard’s meticulously researched reconstructions, the book provides by far the most detailed analysis of the construction of a late seventeenth century warship. As Richard says, ‘Lenox can be re-created from drawings and the complete contemporary documentation made for and during her construction in 1677-78‘, thus presenting a unique opportunity to raise the profile of seventeenth century naval history – still often something of a forgotten era! 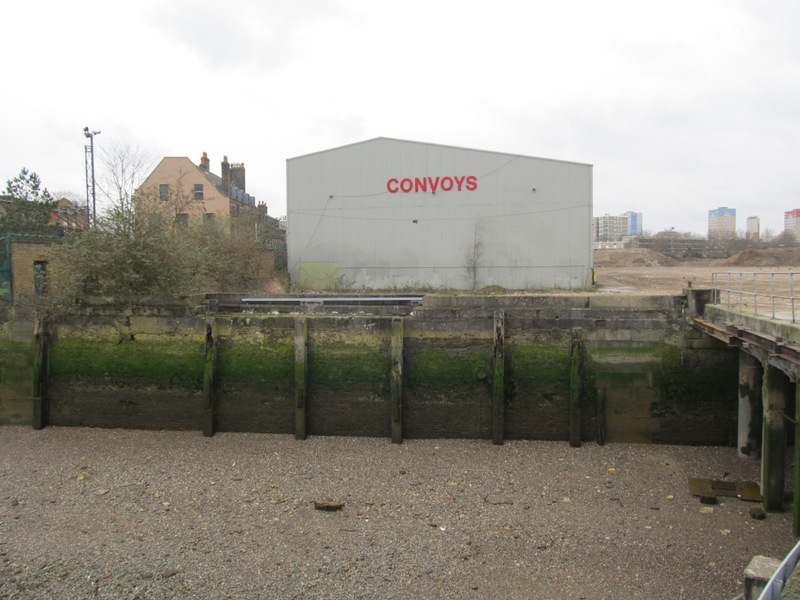 The second was the opportunity presented by the proposed redevelopment of the site at Convoys Wharf, Deptford. 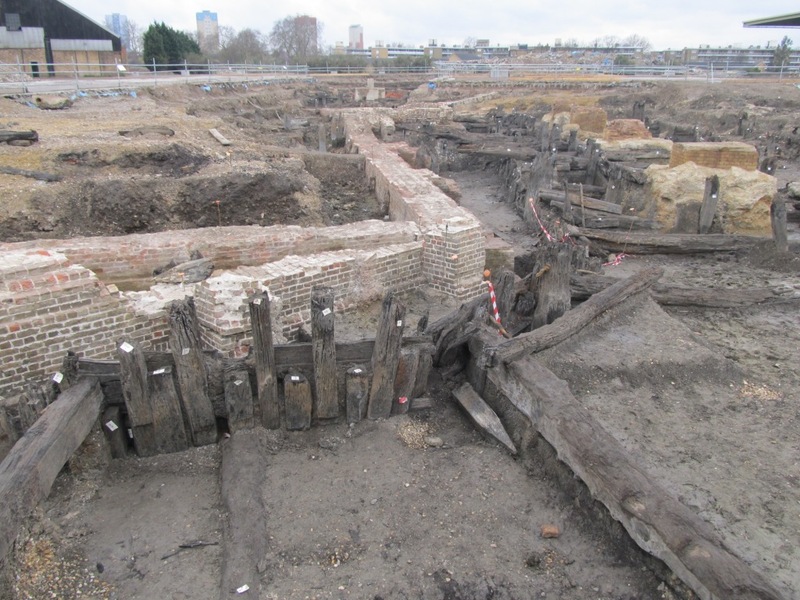 This large piece of derelict land was formerly the heart of the historic Deptford dockyard, established by King Henry VIII in 1513, and includes the site of the double dock in which Lenox was built. Faced with the developers’ apparent disregard for the heritage of the site and insistence upon development of an inappropriate scale and nature, local campaigners began to devise a number of counter-proposals which would involve developing projects on a number of parts of the site. Perhaps the most ambitious of these is a project to use Richard’s pioneering research to build a full-size replica of the Lenox, ideally in the double dry dock itself, which survives despite having been filled in after the closure of the Royal Dockyard in the 1860s. Full details of the ‘Build the Lenox’ project can be found on its website, but essentially it would aim to provide heritage-based regeneration, for instance by employing a young local workforce who would then be able to master traditional skills and learn trades that might give them much better prospects in the workplace. Build the Lenox has attracted widespread interest and the backing of a number of prominent figures, including Dame Joan Ruddock MP and Dan Snow (who are both patrons of the project), and I’m happy to be able to support it through this blog, my website, my social media feeds, and by helping with aspects of research. 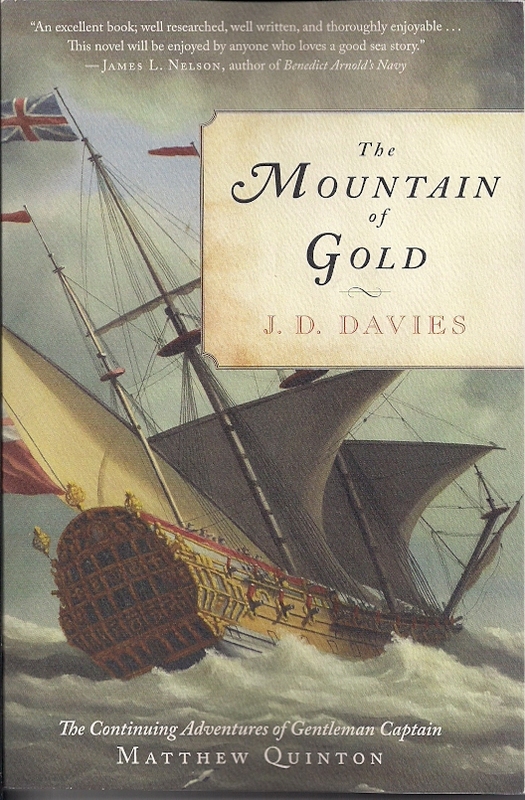 The question of where exactly the ship might be built remains open to debate, and inevitably, raising sufficient funds is the key to the project, especially in the current difficult environment; but similar projects abroad show that it can be done, although construction of the French reconstruction of the frigate Hermione, launched at Rochfort in 2012, has taken over twenty years to date, and the Dutch replica of De Ruyter’s flagship De Zeven Provincien, being built at Lelystad, has suffered from false starts and long delays. But let’s hope that one day, a new Lenox is launched into the Thames from what was once Deptford Royal Dockyard! Below: Richard Endsor’s magnificent painting of the launch of the Lenox at Deptford, 12 April 1678. Every time I read your blog I learn things I’m glad to know and I am amazed that someone as educated as you are can write lower-deck conversations and write such readable books.